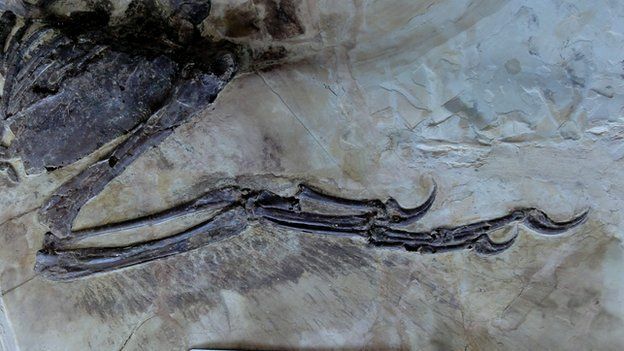 In China, new fossils discovered of an ancient, winged dinosaur that is closely related to velociraptor. Despite being one of the most iconic extinct animals to grace the silver screen, velociraptor looked nothing like the way Jurassic Park and its sequels portrayed it. A majority of paleontologists now agree, the Cretaceous killing machine and all-around "clever girl" was covered in brightly colored feathers - and it was about the size of a turkey. 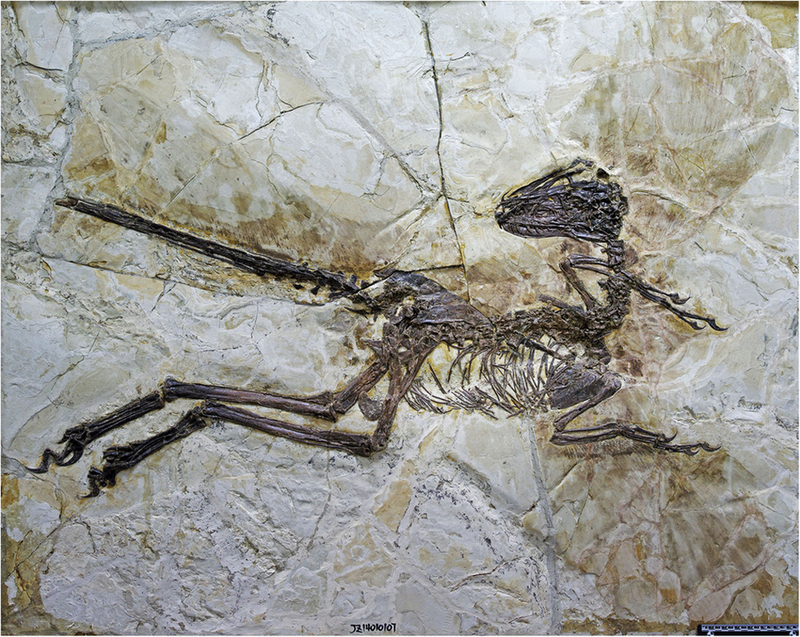 A new fossilized specimen out of China provides even more evidence to support the "feathered dinosaur" theory. Perfectly preserved in limestone, Zhenyuanlong - meaning "Zhenyuan's dragon," in honor of the man who brought the fossil to the museum in Jinzhou - was a close relative of velociraptor, living about 125 million years ago, or 50 million years before the cinematic dinosaur. 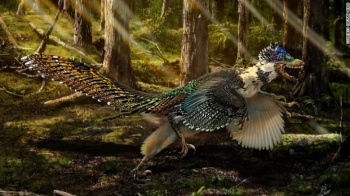 Zhenyuanlong was 6 feet, 6 inches long, covered in obvious feathers - and it had wings. "Proper wings, with quill-pen feathers, layers upon layers of them," says lead researcher Dr Steve Brusatte. 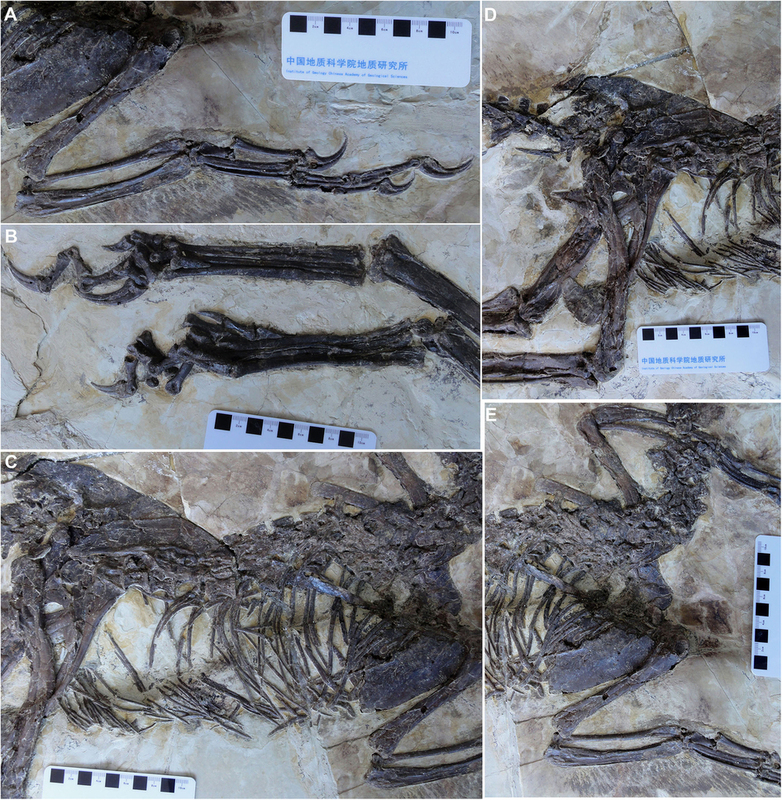 He adds that although fossils of velociraptor have shown evidence of feathers, none have been so well preserved as Zhenyuanlong. 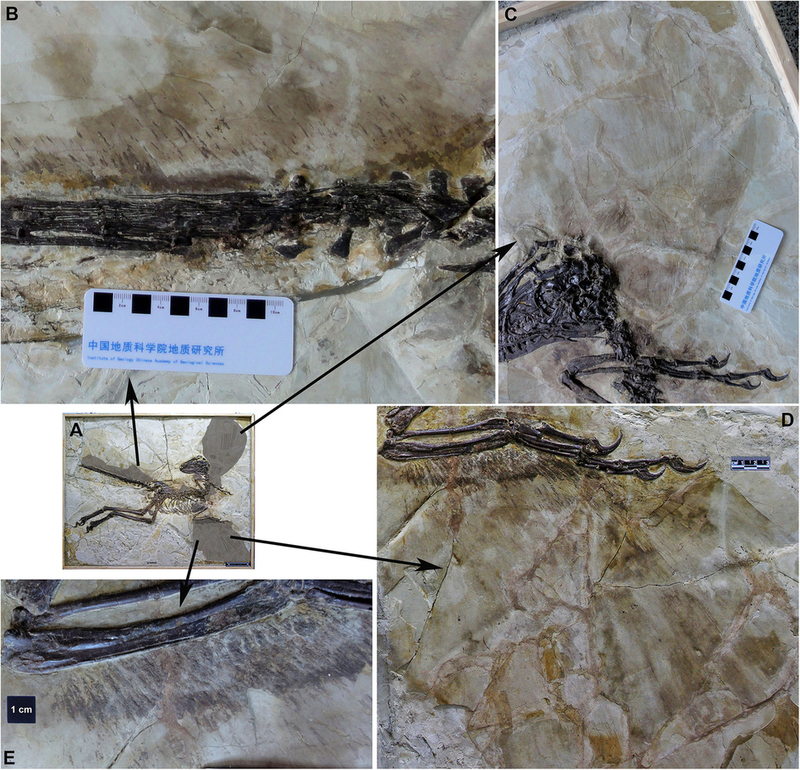 According to Brusatte, Zhenyuanlong is "the single most beautiful fossil I have had the privilege to work on." See the study in the journal, Nature. "This is a really good look at what velociraptor would have looked like, genuinely, in life, it would have been a fluffy, big bird type of dinosaur." It is becoming increasingly likely that most dinosaurs, from triceratops to tyrannosaurus, had feathers. This is a very exciting time for paleontology. New discoveries are being made regularly, especially in China and Canada. Strange animals are being uncovered. Recent hit film Jurassic World, for all its lack of feathers, has renewed interest in the study of dinosaurs. In spite of the wings, the Chinese dromaeosaurid (the family that contains raptors, among others) was probably too heavy to fly. Instead, behavioral paleontologists suggest it may have used the wings to protect its nest, create a display, or maybe even glide. Still, Zhenyuanlong fits nicely into the evolution of modern birds. Today's avians began as close cousins to the dromaeosaurids, and Zhenyuan's dragon gives us a glimpse at what they may have looked like, and how early they developed the features we now know them for. Velociraptor may not have been the crocodilian, man-sized terror we imagined it to be in the early 1990s, but don't let that put you at ease - it is likely the dinosaur we saw in theatres was based on its larger cousins, deinonychus or the enormous Utahraptor . Velociraptor, in the end, was just a cooler name.